Here's week 4 training for the Indy 500 Mini Marathon on May 3. 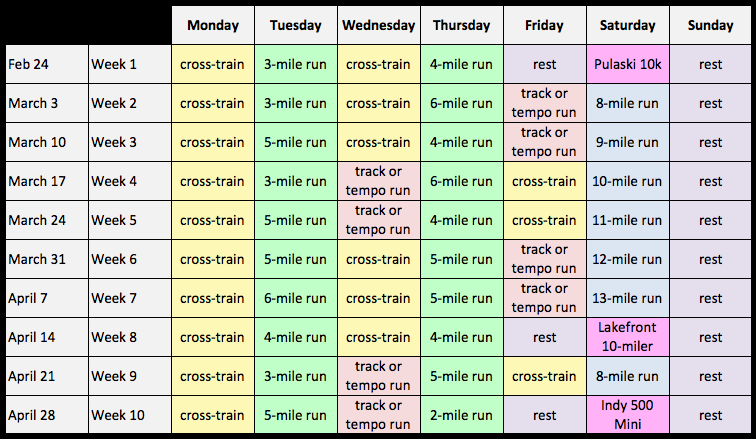 This plan is an intermediate program with the hopes of getting a PR and finally beating my 1:55 half marathon time. I made this plan with the help of The Crew and Kate of The Four Percent. Also, The Crew and NTC Chicago are awesome and gave me a free entry to the Shamrock Shuffle on March 30th! 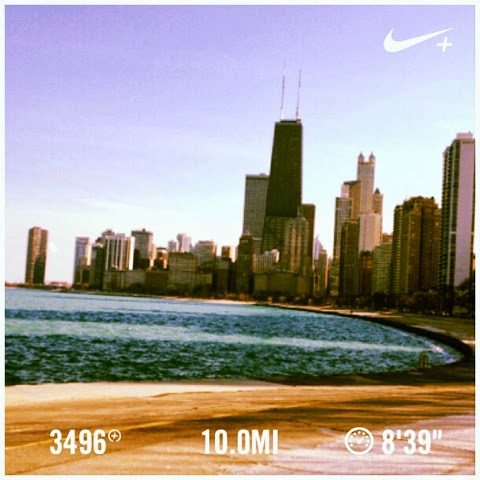 The race is an 8k and it feels like everyone in Chicago does it, even the non-runners. Registration is still open if you're interested. Should be a fun time! 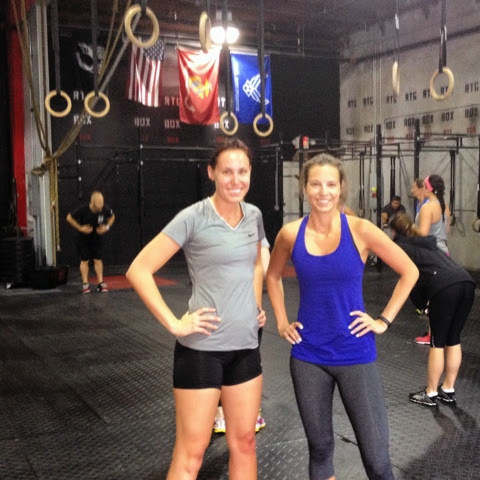 My sister is trying out crossfit and going through a basics program so I joined her! We did a lot of squats so of course my hamstrings hurt after. Was going to do my long run Saturday but I stayed out too late with my new business school friends, oops! Then I still wasn't feeling it Sunday so moved 10 mile run to Monday. What was your best/favorite workout this week? Don't forget to enter my GIVEAWAY to win tickets to see Jillian Michaels on April 9 in Chicagoland!